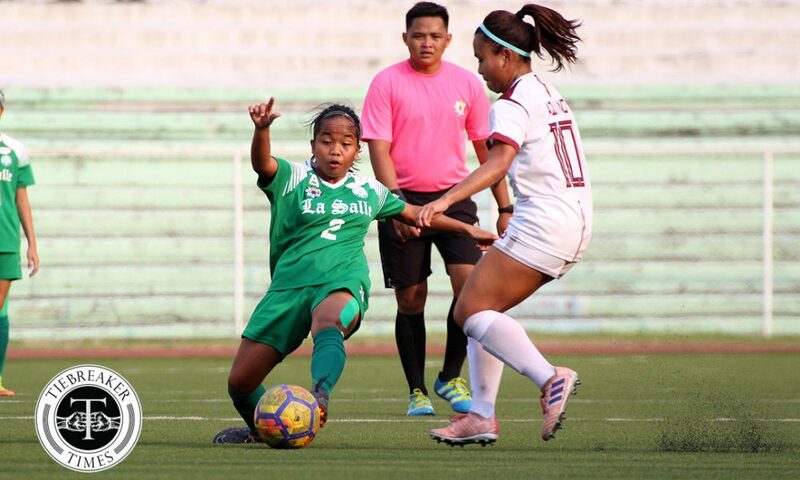 The De La Salle University Lady Archers secured at least a playoff for the UAAP Season 80 Women’s Football Tournament Finals with a narrow 1-0 victory over the University of the Philippines Lady Maroons. 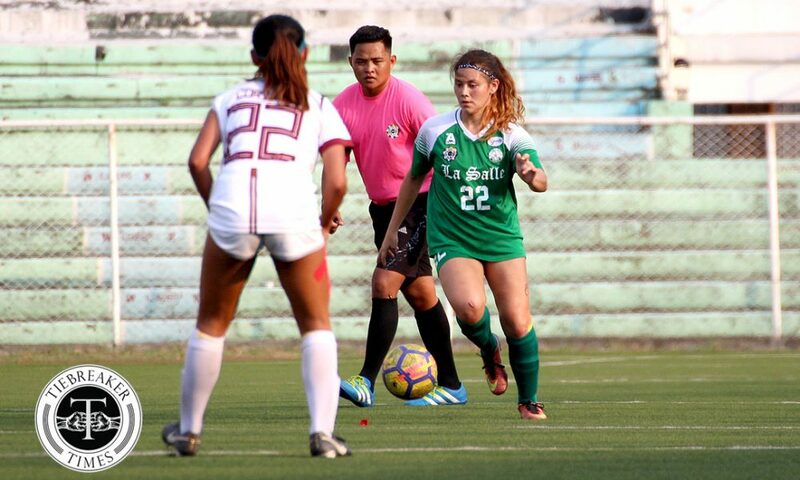 Shannon Arthur’s second half goal propelled the Lady Archers to 15 points in the table, three above the third-placed team Far Eastern University Lady Tamaraws. All La Salle needs to return to the big dance is a draw against FEU while a loss will force both teams towards a knockout match. “(The players) are still one step delayed. There’s a one step delay in their movements. 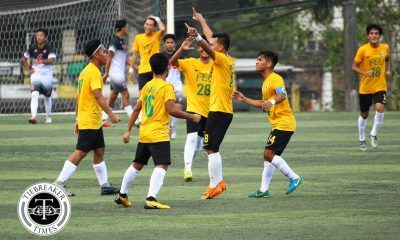 We still need to guide them outside the field,” commented La Salle assistant coach Alvin Ocampo after his side’s win, Wednesday afternoon at the Rizal Memorial Stadium in Manila. UP had the best chances to score in the first period. 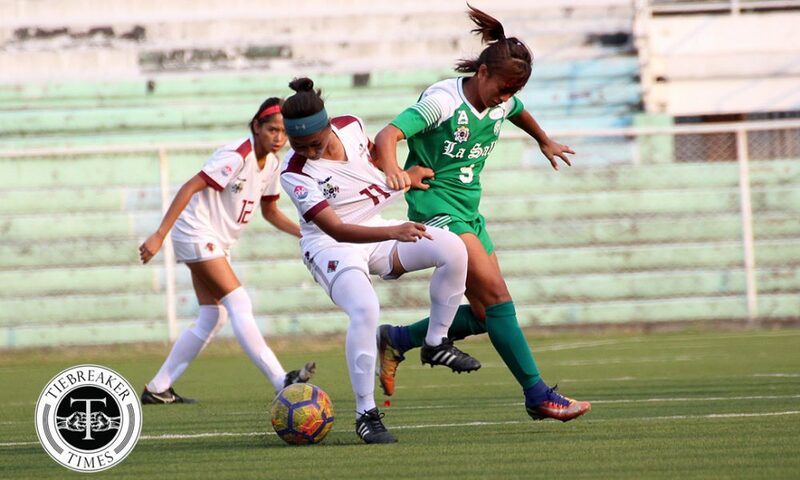 Lady Maroons forward Christina de los Reyes should have broken the deadlock at the stroke of halftime when she went through on goal only for Lady Archers goalkeeper Natasha Lacson to deny her with a fine save. Alyssa Ube then tried to rebound the ball in but her effort went straight to Lacson. 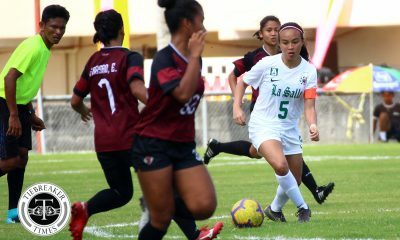 La Salle then went close to scoring early in the second half. 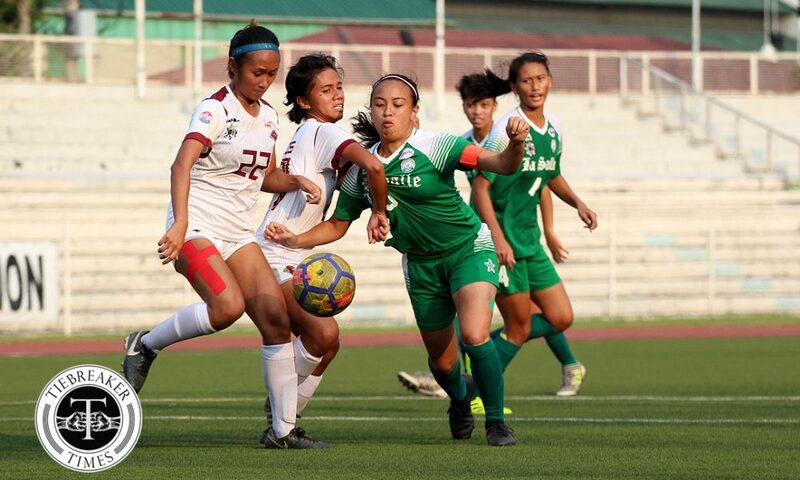 Skipper Kyra Dimaandal penetrated the Lady Maroons box and laid the ball off to Kyla Inquig whose backheel pass was cleared from the line by the UP defenders. 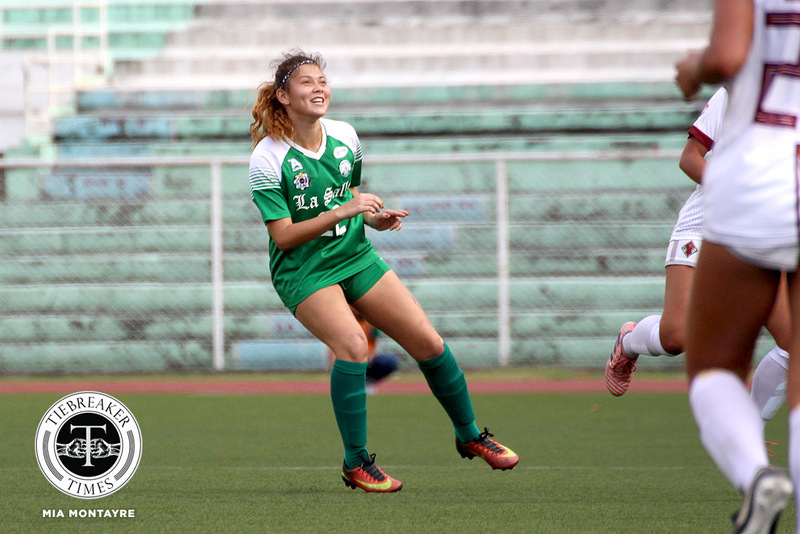 The game was on the balance but one moment of magic was what the Lady Archers needed to break the stalemate. 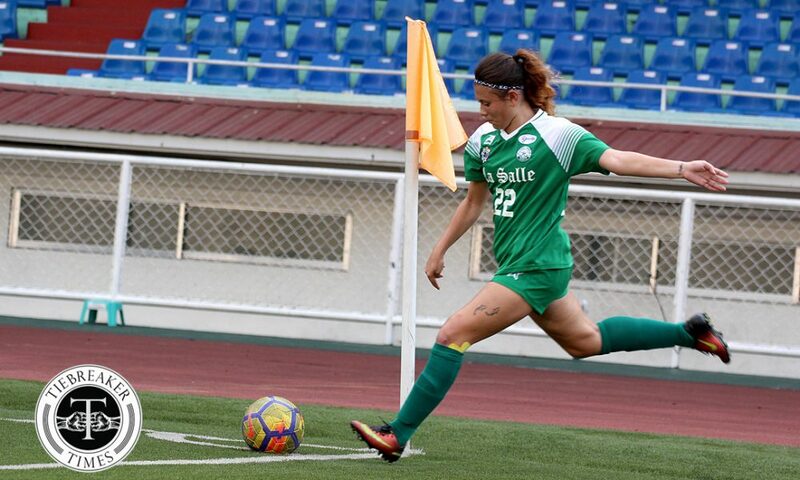 Shannon Arthur, who played as a central-midfielder in the game, unleashed one of her trademark longshots at the 58th minute to hand La Salle the lead. 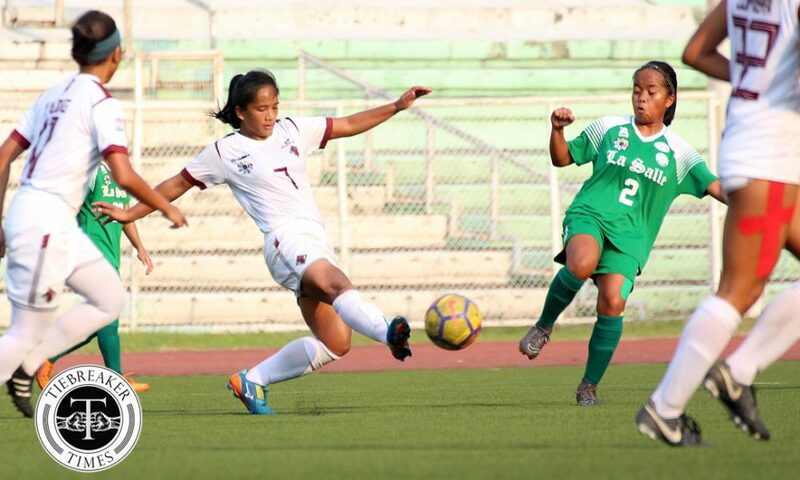 It was a hard way for UP to concede as the Lady Maroons played well up to that point. 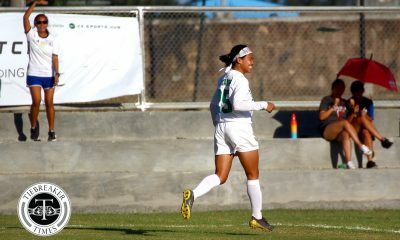 De Los Reyes almost equalized for State U soon after they conceded but her attempt was denied by the crossbar. Halfway through the period, UP had another opportunity to level the game. 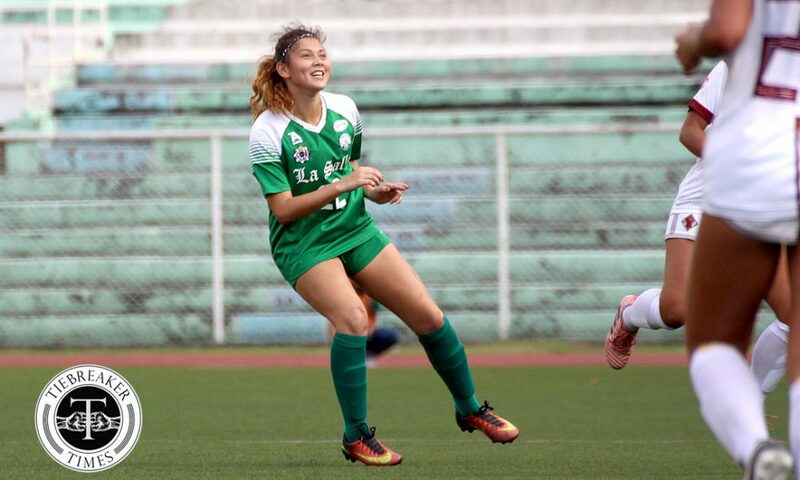 Blessie Perez raced through the right flank and went for goal but her strike went straight at Lacson. 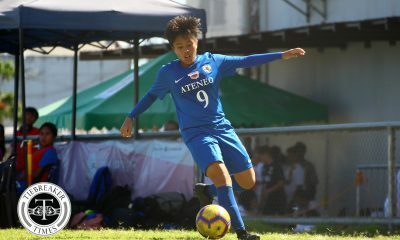 Moments later, Arthur’s free kick was met by an unmarked Mariell Tejado who then headed narrowly over. 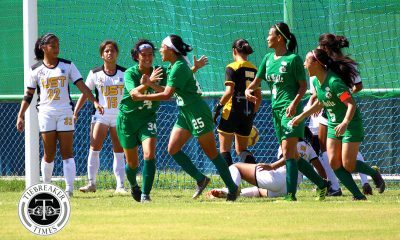 In the end, La Salle prevailed to inch closer to a Finals ticket while UP suffered its seventh straight loss this season. 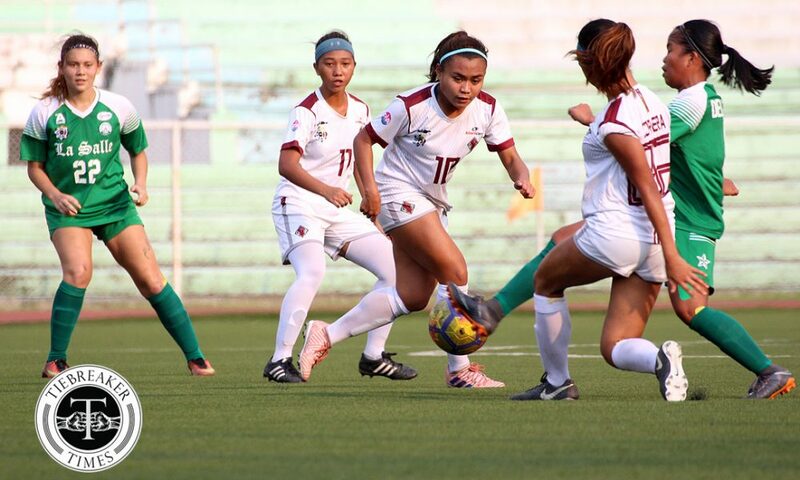 The Lady Maroons are set to finish last this year as they have not yet tallied a single point. 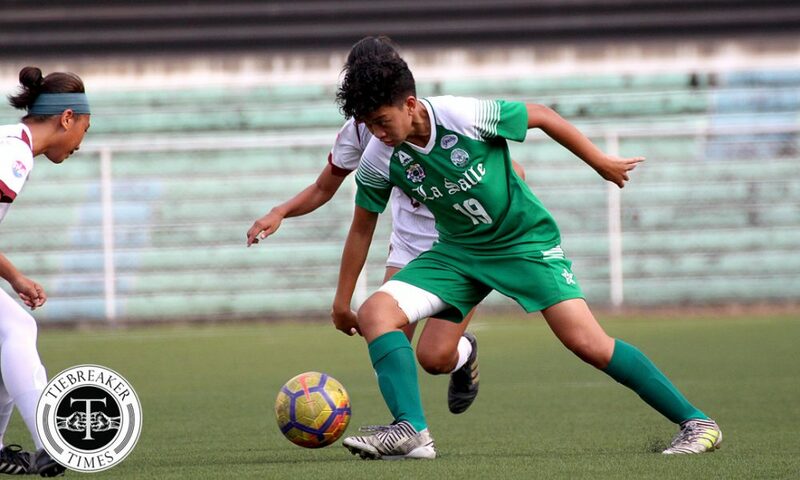 The two schools shall end the elimination round on March 17 at Rizal Memorial. La Salle will take on FEU at 8:00 AM while UP will face Ateneo de Manila University afterwards at 3:00 PM. “We need to manage the (FEU) game. That’s it. We need to draw or win. We need to manage the team management of the team especially in training. Like what coach Hans-Peter Smit said, we need heart, more heart towards the game. Even if (the players) are tired or hurt, heart will address everything,” furthered Ocampo.